I have chosen a couple of artists here who are quite different but on a similar them of nature. 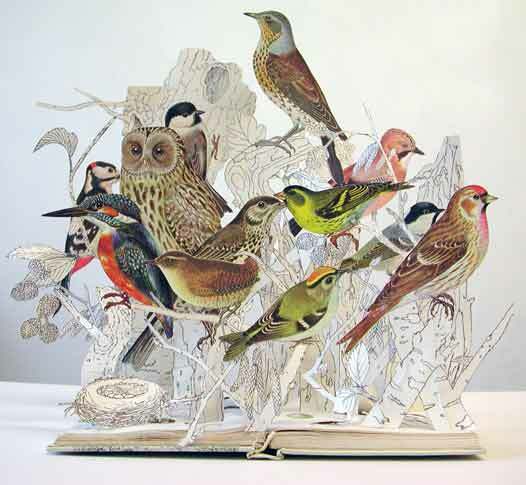 The first is Sue Blackwell an artist who primarily works with books. 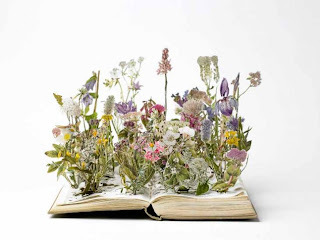 I love Sue’s work, it is so beautiful and clever. 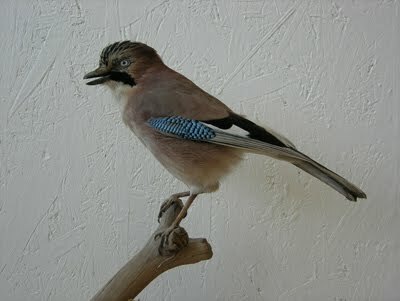 But then I am biased as I love everything with flowers and birds. 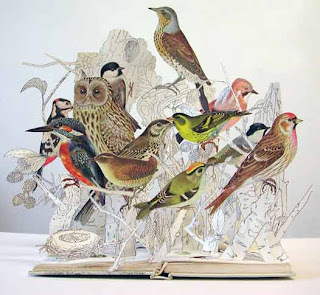 The next is Jazmine Miles-Long I have been a huge fan of taxidermy for a long time and can’t remember where I discovered Jazmine’s work but it is so beautiful. I know some people find it bit creepy but I would love to have that lamb it looks so peaceful. 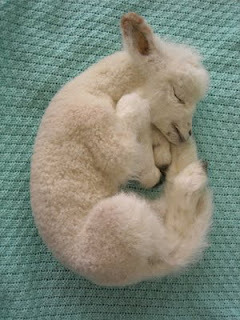 That's a real lamb? Wow - for a second there I thought she was made of felt! Beautiful work though.